Barry from Minnesota – Is there an official end to the Little League® season? Little League – There is no reason to stop playing, but there is a time to close the ledger book. Little League® is a program that any group of people can charter and shape to fit its community. A Little League Charter for any given season is in effect from the date it is received through December 31. Beginning and ending dates for the Little League season are decided by the league, so if the volunteers and children want to keep playing, the league can keep going. The only official end to the Little League season is on the business side, which comes at end of the fiscal year, September 30. Jill from Arizona – Does a local Little League® have to certify its coaches and umpires? Little League – Little League® uses baseball and softball to help teach life lessons learned through good sportsmanship, teamwork, dedication, commitment, and personal pride in contributing to a common goal. Each Little League season, managers and coaches are nominated by the local League President, approved by the league’s Board of Directors, and are entrusted with being role models for all Little Leaguers®. Often, new adult volunteers wish to be considered for coaching positions and it is the league’s responsibility to utilize the abundance of training materials available through Little League University (LittleLeague.org/University), and other Little League-produced resources, to educate and prepare these volunteers to effectively teach children. 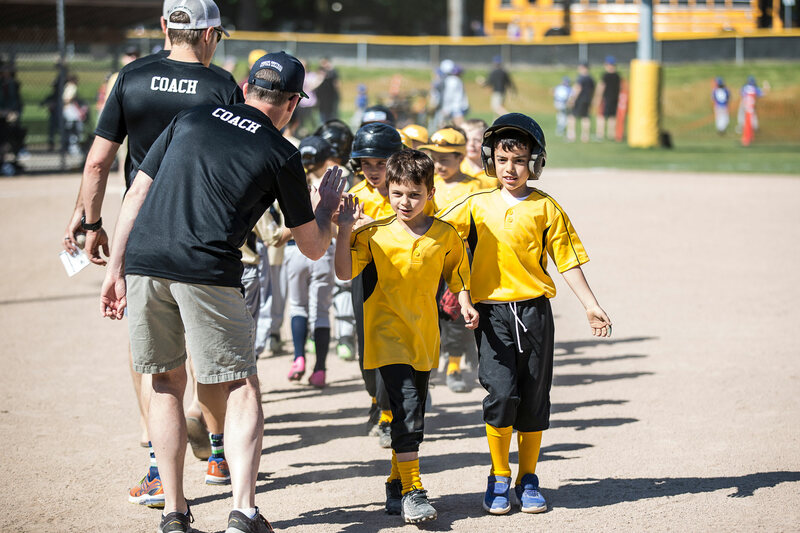 To this end, Little League does NOT certify its coaches, but it does empower the local Board of Directors to appoint a person (or staff of people) to serve as Coaching Coordinator(s). Everyone learns differently and at their own pace. Therefore, leagues need to commit to preparing managers and coaches to effectively groom their roster of players in the skills and techniques of playing the game using a team concept. Equally important is the mental side of coaching, which includes encouraging volunteers to internalize the ideals of the Little League program and learn its rules and regulations as they train the next generation of leaders. No paper certificate can summarily assure a person will live up to such an assertion of competence. The same is true of umpires. Training clinics at the local, state, region, and international levels are available for the third team on the field during each game. Like managers and coaches, umpires are only as good as the time and effort they put in practicing their craft. Little League does NOT certify umpires, but local league, district, and regional staff members are constantly evaluating and assessing those umpires with a focus on giving all Little Leaguers the best experience each time they step onto the field. Melissa from Ohio – I’ve been approached to volunteer in my local Little League, but never volunteered before. What can I expect? Little League – Talk to members of the current Board of Directors to get a sense of what a typical year in the life of your local league involves. Also, if you were approached to be on the Board, it is likely that current members of the Board are confident that your personality or professional skillset can benefit operation of the league. The important decision for you is: What kind of time commitment are you willing to make? The success of any local league depends on getting many people working together toward the common goal of making a fun, rewarding, and memorable experience for the children and families. The larger volume of active and engaged volunteers, the easier and more exciting it is to be a volunteer. If you choose to volunteer, be sure to get a full understanding of what your responsibilities are, and encourage others to join in so that the experience is more about fun than work. There is always a role for a volunteer at every league, whether you have one hour to commit a year or one hour to commit a day, to help improve your local league’s operations. Little League – The “Williamsport Tournament” is just one of the 11 baseball and softball tournaments that Little League® International oversees, and we couldn’t do it without our volunteers. In any given tournament season, more than 6,500 teams from across the United States and around the World, participate in the Little League® International Tournament, the largest elimination event in either youth or professional sports. The Little League International (LLI) Tournament Committee, which is in Williamsport, Pa., and consists of several LLI staffers, oversees the operation of the tournament and coordinates with professional staff members in nine regional offices (five in the U.S.; four abroad), hundreds of volunteer District Administrators, and thousands of local league volunteers. From the beginning of June through the end of August, thousands of tournament games in 11 divisions of Little League Baseball® and Little League Softball® – highlighted by seven World Series – are the responsibility of the Tournament Committee. Each day and night of the tournament poses specific challenges, and Committee members along with region staffers are on call to address all issues, both on and off the field. In each case, reaching the best decision based on Little League’s Official Regulations, Playing Rules, and Operating Policies while doing its ultimate best to protect the experience, are the overriding goals of the Tournament Committee. Such coordination and commitment are how the tournament has been able to adapt and grow since the first official tournament games were played in Williamsport during the summer of 1947.